EcoStart- A new approach to financing environmental projects using Blockchain technology. The innovative Blockchain technology has revolutionized how different sectors of the world economy transact their business. The ecological sector has not been left behind and environmental enthusiasts have something to smile about. In the past, there have been challenges as far as investment in environmental projects is concerned, with intermediaries meddling in the whole transaction process. But with EcoStart, there is the transfer of power and control to whom it belongs- the investors and owners of TECO cryptocurrency. Ecostart is an innovative solution for environmental projects on the global market. Created on an open blockchain system, the application, and software solution is implemented in the form of a public distributed cryptographic platform to support environmental and nature protection projects. 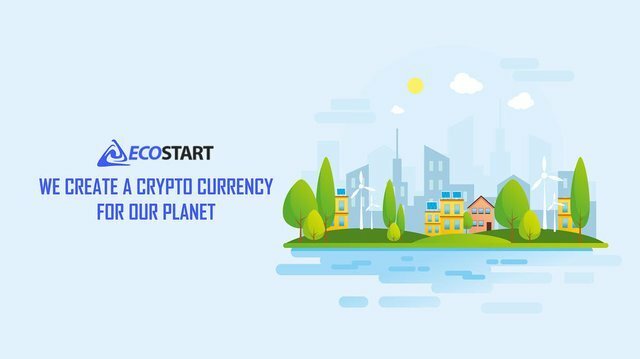 With the growth in the number of active users of the EcoStart platform, their demand for the token will grow as well. Soon the value of the token will increase to great levels.